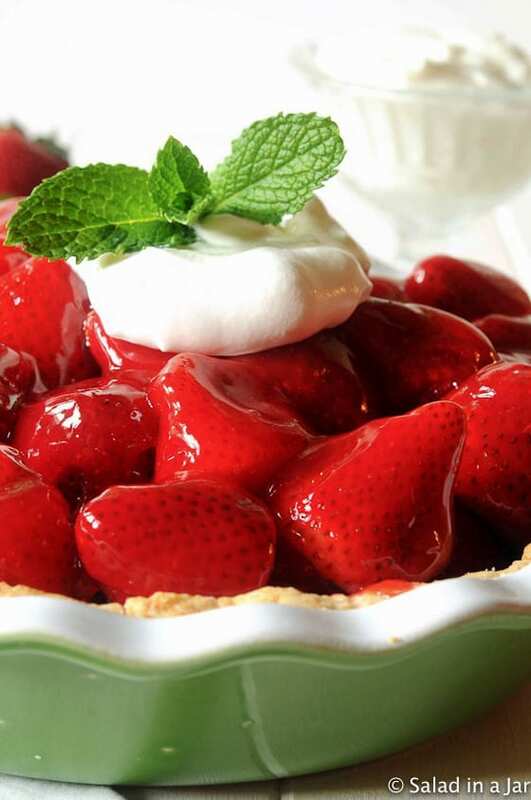 Aunt Marg’s BEST Glazed and Extremely Fresh Strawberry Pie is a not-too-sweet fresh strawberry pie formulated for maximum enjoyment of fresh strawberries. No cooked berries in sight. The recipe includes directions for an easy pat-in-the-pan cookie crust. You would not believe how many strawberries I’ve eaten lately in my quest for the BEST fresh strawberry pie. A quick e-mail produced the recipe in short order. Don’t you think it’s impressive that, my aunt, who is well into her eighties, looks at and uses her computer often enough to reply to my e-mail within a couple of hours? Aunt Marg’s strawberry glaze recipe was exactly what I had been searching for. The glaze is translucent, glossy, colorful, light, and thick and sweet. It’s the perfect foil for beautiful and tasty spring strawberries. 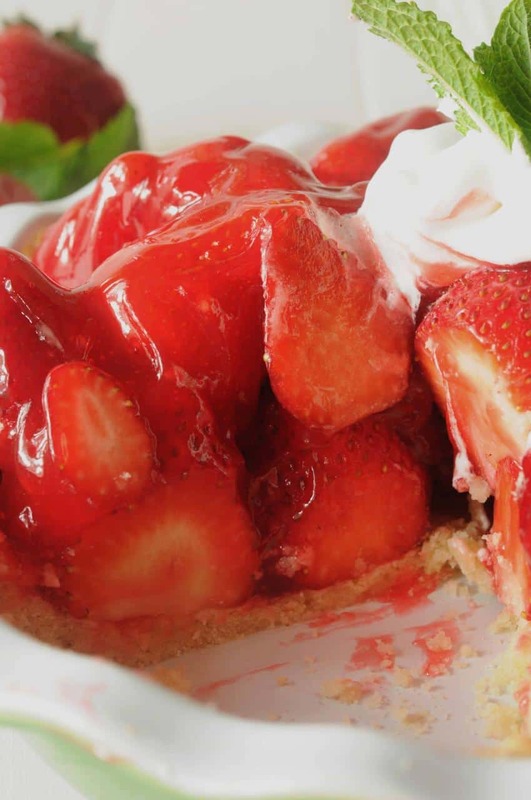 Why Revisit Aunt Marg’s Extremely Fresh Strawberry Pie? 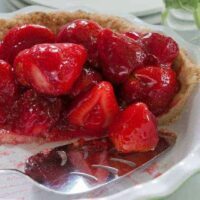 I recently had the occasion to revisit my original strawberry pie recipe after I received a negative letter from a reader. These kinds of letters always put a damper on my blogging spirit, but I was determined to see if her complaint was valid. 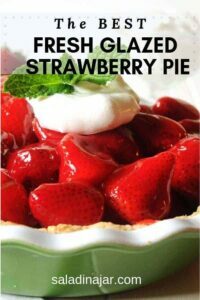 As a result of the complaint, I assembled the strawberry pie, to the letter, as it was originally published. Oh my! So delicious! Aunt Marg’s recipe is not cloyingly sweet but just sweet enough to enhance the berries. The texture of the gel is not so thick that it seems rubbery, nor so thin that it is runny or watery. The first picture posted above was taken 24 hours after the pie was made so you can see exactly what to expect. Of course, any kind of dessert made with fresh fruit is better eaten the day you make it. 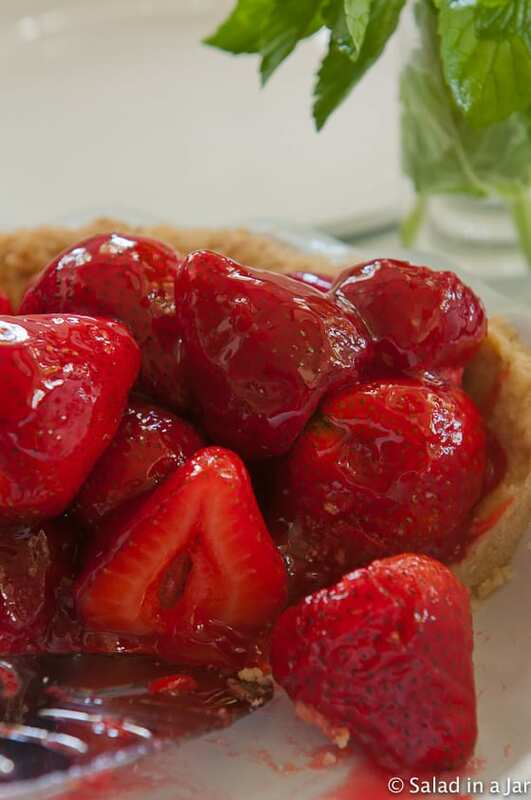 Otherwise, one runs the risk of a soggy crust as the strawberries release moisture. In the end, I decided to republish the recipe exactly the way it was given to me. Nevertheless, additional details about the process have been added. Hope you find them helpful. A regular flaky pie crust is more than acceptable. A cookie-type crust, although richer, is more memorable. This pat-in-the-pan recipe is adapted from Joy the Baker, a fabulous baker, and blogger worth checking out. Her crust is a cross between a regular pie crust and a sweet tart crust. No rolling required. Be sure to let the crust cool before adding strawberries and filling. This is key to keeping it crispy as long as possible. At least part of the time, she broke off large pieces of the crust and laid them on individual serving plates. Then strawberries covered in glaze were poured on top. Maybe not very photogenic but exceedingly edible! Pat-in-the-Pan Piecrust is perfect for any fresh fruit pie. However, I am adding a second option in the recipe for putting it together using a food processor. Personally, I think this is an easier method for making the crust. If you don’t have a food processor, the Joy’s method described above works fine even if it’s a bit more labor-intensive. P.S. 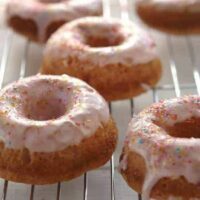 In looking at the original recipe my aunt emailed, I notice she specifies adding a touch of almond extract to the glaze. I tried it. I liked it. Optional, of course, but a nice touch! Combine water, cornstarch, Jello and corn syrup in that order. 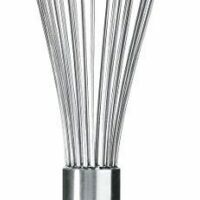 Stir or whisk until dissolved. Cook until mixture boils and thickens to the consistency of maple syrup. 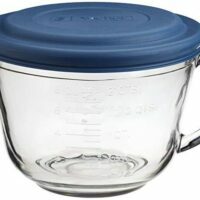 Cook the filling in a microwave using a 2 qt-glass batter bowl. Takes 4-7 minutes on High, stirring once or twice. Mixture should boil and thicken to the consistency of maple syrup. Add food coloring and flavorings if using. Set aside to cool. Arrange 2 quarts cleaned and dried strawberries in pretty pattern in pre-baked and cooled pie crust. If fruit is very large, cut in halves or quarters. I try to buy smaller berries so I don't have to cut them. They seem to last longer. Pour glaze over strawberries, taking care to cover every berry. Alternately, pour glaze over strawberries in large bowl. Gently mix. Pour strawberries/glaze mixture into pie crust. Although not as pretty as arranging individual strawberries, I like the way the gel holds the berries together better. Refrigerate at least 2 hours. Best eaten the day it's made. Serve with whipped cream. Whisk together first four ingredients in medium bowl. Add grated frozen butter and cream cheese to dry ingredients and combine with your fingers. 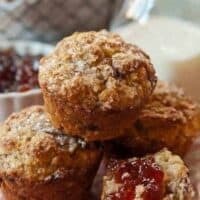 Texture should be coarse with pieces of varying sizes like oatmeal and fine bread crumbs combined. Mix vegetable oil and cold milk. Pour into flour and butter mixture all at once. 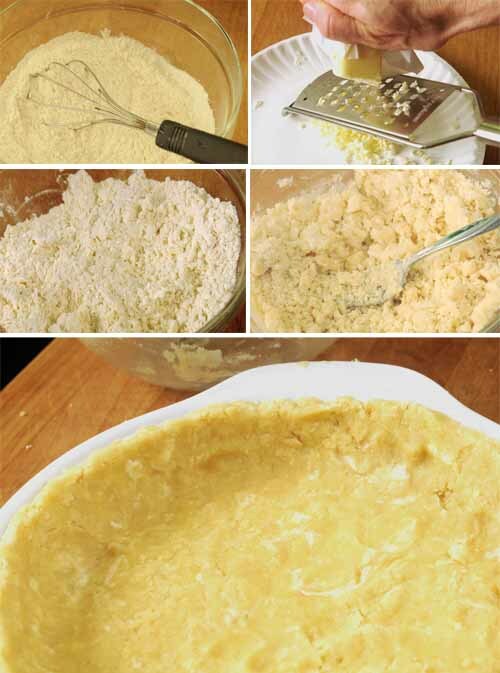 Use fork to mix until all flour/butter particles have been kissed by moisture. Mixture should should have a "shaggy" appearance. Dump into a clean pie plate and pat out crust with your fingers as smooth as possible taking care to evenly cover pie plate and sides. It probably won't be perfect but as long as you have no holes and no terribly thick places, it will be fine. Place crust in the freezer while you preheat oven to 375 degrees. Place rolled and twisted parchment paper on top of pie crust (see picture on this post) or use beans or rice to weigh down the crust. Bake for 12 minutes. Remove weights or paper and continue to bake another 8-10 minutes until golden brown. Watch closely in last 2-3 minutes. It can go from gloriously golden to badly browned faster than you can answer the doorbell. Set aside to cool. Assemble pie according to directions in step 4 in the Glaze directions. Add flour, salt, sugar, and baking powder to food processor bowl and pulse several times to mix thoroughly. Add frozen or very cold butter (cut into 6-8 pieces) and cream cheese to the dry ingredients. Pulse until mixture looks similar to raw oatmeal flakes. Combine oil and milk and pour over ingredients already in the bowl. Pulse just until mixture looks shaggy. Mixture should stick together if you press on it with your fingers. If too dry, add a little bit more milk and pulse 2-3 times. Remove blade from bowl. 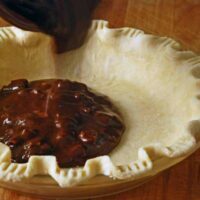 Dump dough mixture into a clean pie plate and pat out crust with your fingers as smooth as possible taking care to evenly cover your entire pie plate. It probably won't be perfect but as long as you have no holes and no terribly thick places, it will be fine. 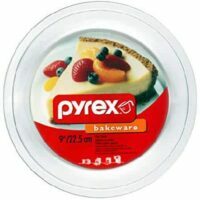 Place crust in the freezer while you preheat oven to 375 degrees. Using non-stick aluminum foil to cover raw crust. Place flat piece of foil over the top with non-stick side next to the crust. Use your hands to press foil down into contact with the crust. No need to place weights on top. Bake 12 minutes, then remove foil and continue to bake another 8-10 minutes until golden brown. Watch closely in last 2-3 minutes. It can go from gloriously golden to badly browned faster than you can answer the doorbell. Set aside to cool. Assemble pie according to directions in step 4 in the Glaze directions. 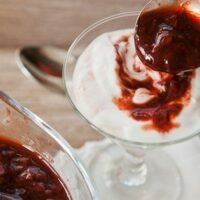 I was going to look for a strawberry pie recipe today, and a notice for this new blog post was at the top of my email:) This sounds delicious, Paula, and I’m going to give it a try. Hope all is well with you! Good morning. 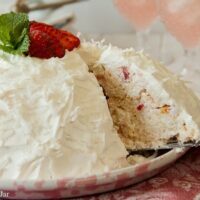 I have strawberries in The refrigerator waiting to be used in this luscious recipe. Thanks for sharing. Miss hearing from you. Love your recipes and blog. 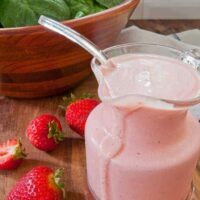 Still make your yogurt recipe – the best recipe ever. Thank-you Connie for your kind words. So nice to hear you are still enjoying the yogurt, too. I love a crust recipe that doesn’t need to be rolled. 🙂 That strawberry pie looks scrumptious, and I’m sure it wouldn’t even last until the second day! So nice to hear from you. Still teaching? Enjoying the summer? I have a feeling you could roll out a great pie crust any day of the week but the pat-in-the-pan crust is indeed a no-brainer.